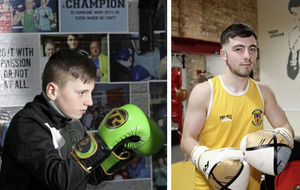 Carl Frampton says talk of an all-Belfast showdown with Michael Conlan is a "wee bit optimistic"
TALK of an all-Ireland rumble with Michael Conlan is “a wee bit optimistic” says Carl Frampton. Two-weight world champion Frampton says Conlan, who makes his professional debut at super-bantamweight in New York this weekend, will have to join him at elite level before he retires “after about six more fights” for the showdown to take place. Conlan has said that taking on Frampton is his “dream fight” but ‘the Jackal’ doubts it will ever happen. “It’s a bit off, he’s having a six-rounder and he’s only making his debut,” said Frampton whose record stands at 23-1 after eight years as a pro. “That’s a wee bit optimistic at this point in time, but who knows what can happen in the future? Mick is a great fighter, with great potential and a great team behind him but I’m looking to call it a day after about six more fights so if he gets up to that level by the time I’ve had another five or six fights then who knows? Frampton has regrouped after losing his WBA featherweight title to Leo Santa Cruz in Las Vegas in January and, after road trips to Manchester, New York and Texas previously, he wants to fight “at home” this summer. 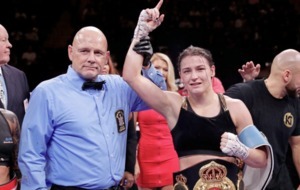 “I’m 99 per cent sure it’s going to be at home, whether it’s Leo Santa Cruz or someone else has still to be decided, but my next fight is gonna be at home, maybe in July,” he said. “Santa Cruz and Lee Selby are two options and when you sell tickets well and the TV channels like you then you’ve always got options. If Santa Cruz doesn’t play ball, Selby’s an option and if he doesn’t play ball then we’ll look elsewhere. Frampton has had six world title fights on-the-trot (four of the them away from home) and has no intention of dropping below elite level for his next outing. “I beat a three-weight world champion and then I lost to a three-weight world champion,” he explained. Santa Cruz has poured cold water on talk of a third fight with Frampton this summer. The Mexican had said he was prepared to travel to Belfast to meet ‘the Jackal’, but now seems reluctant to. 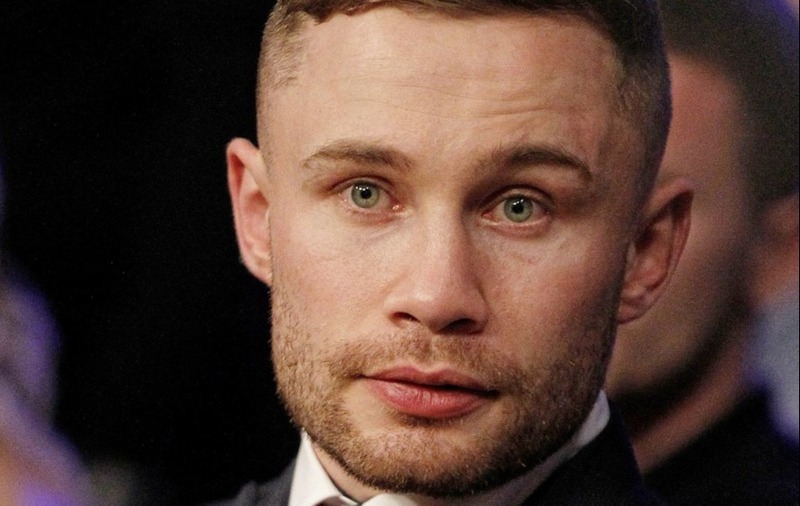 “I was disappointed with my performance in Vegas,” said Frampton. “I had a bad start and I was chasing the fight and it didn’t suit me. Leo Santa Cruz out-smarted me and I’m man enough to admit that. I didn’t think he could box like he did, I thought he was gonna come head first and he surprised me. “I’ll put it down to experience and hopefully get him back. I believe I’m a clever fighter and I can learn from defeats.